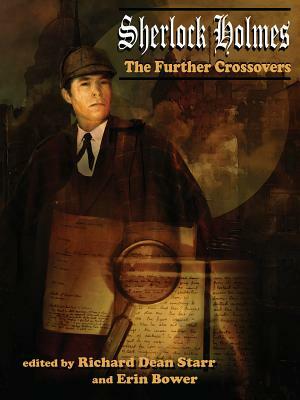 Moonstone is proud to present this original anthology featuring never before seen tales of the world’s first consulting detective, Sherlock Holmes, as he teams up with other adventurers and investigators! Greg Gick, Matthew V. Clemens, Martin Gately, and Bill Crider. featuring: Gertrude Bell, renowned adventurer, archeologist, and spy! (“The Moonstone”) Wilkie Collin’s Sergeant Cuff! (“The Scarlet Pimpernel”) Baroness Orczy’s Lady Molly of Scotland Yard! Catherine Louisa Pirkis’ Loveday Brooke, Lady Detective! Arthur B. Reeve’s Craig Kennedy, science detective!